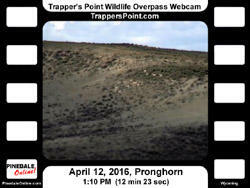 Both pronghorn (sometimes commonly called antelope) and mule deer use the sagebrush- covered bluffs on the east side of the Green River to move up and down the Upper Green River Valley. 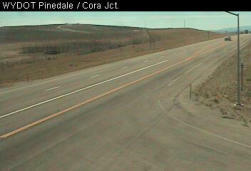 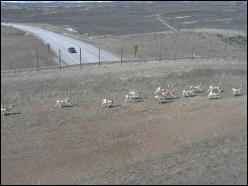 They move north in the spring following vegetation green-up as snow melts. 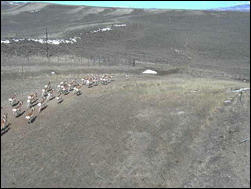 Late fall snow causes them to return south to winter range for the winter. 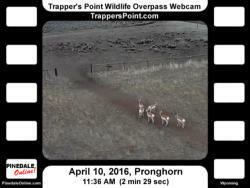 These videos offer glimpses into their movement patterns through the Trappers Point bottleneck. 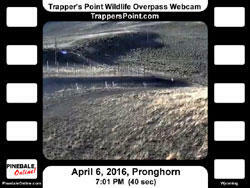 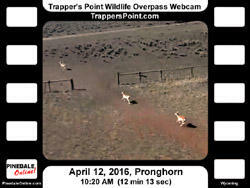 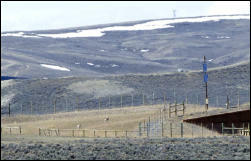 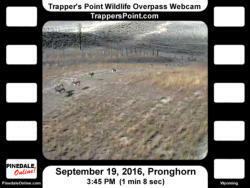 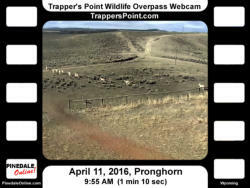 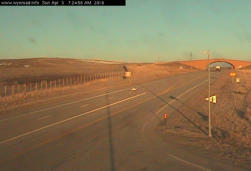 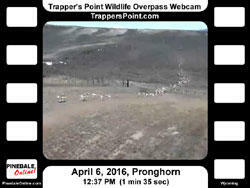 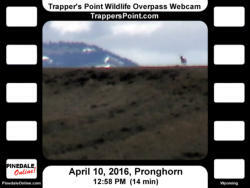 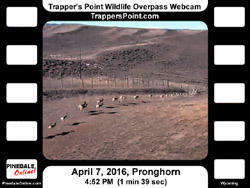 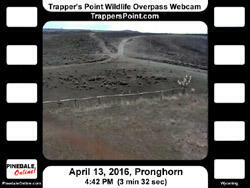 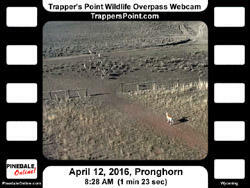 Video footage from the Trappers Point Wildlife Webcam shows both pronghorn and deer herds move both directions across the overpass in the spring, although most pronghorn herds are moving rapidly northward. 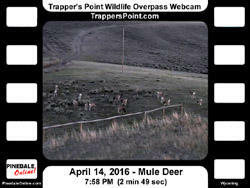 Mule deer are much more leisurely in their movements. 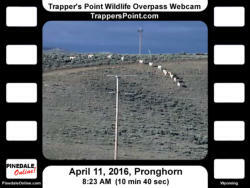 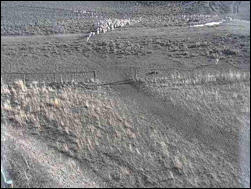 Additional information we hope to learn from watching the webcama are: When do the migrations start and stop? 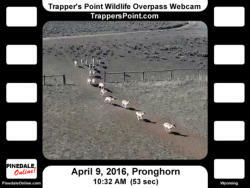 Which directions do the animals move? 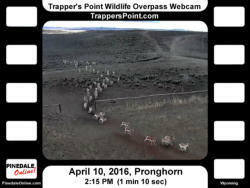 How many animals are in a given herd? 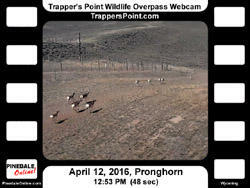 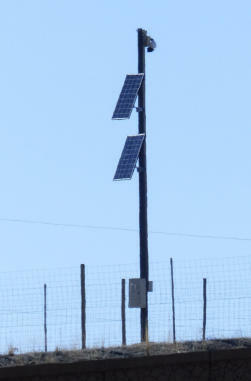 How quickly do they move through the wildlife overpass area? 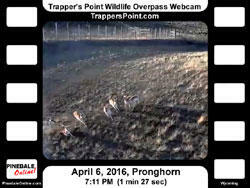 Are their certain times of day which animals seem to move more or less? 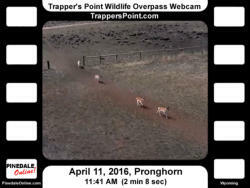 How does weather impact animal movement patterns?